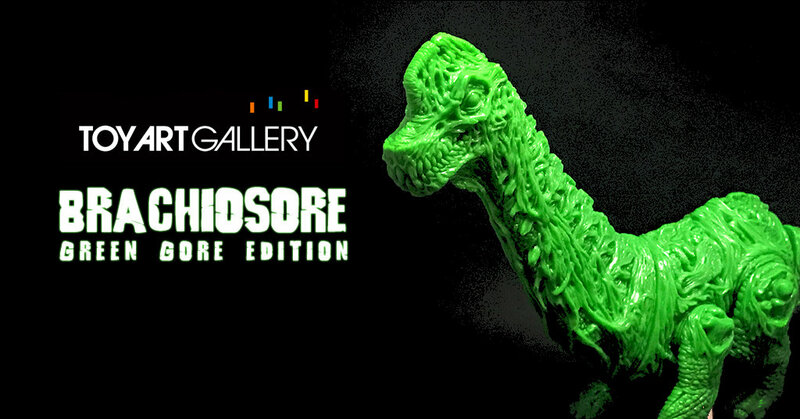 Brachiosore, by the one and only James Groman is a beautiful undead sauropod and it’s back for a brand new run in a special blank ‘Green Gore’ edition. This new GREEN GORE edition is cast in a bright green soft vinyl, so vibrant it can hurt your eyes (not for real though). The BRACHIOSORE is designed and sculpted by James Groman and produced by Toy Art Gallery. Available this Friday 1/25 at 12PM PST at shop.toyartgallery.com for $110.